Self-driving cars are definitely a hot topic now that most automotive manufacturers have thrown their hat into the ring. The greatest barrier to the acceptance of machine-driven cars is the fear of relinquishing control to a machine. However the statistics show that autonomous cars will be far safer than human-driven ones. Overcoming this irrational fear requires that car manufacturers answer difficult questions with well-established facts related to accidents and security issues. Automotive manufacturers are allocating significant resources to develop self-driving prototypes that promise to stop road accidents once and for all. But to live up to this expectation, drivers' concerns about security must be addressed first. Modern cars are already equipped with software that enhances these vehicles with never before seen features for our safety and comfort. Some cars can even communicate with our smart phones. Yet self-driving cars are very different from today's smart cars. Driverless cars will use a multitude of radars, LIDARS, cameras, and other sensors, acting as the eyes and ears of the car. These will help the car learn about its surroundings, but managing these vast amounts of data is a challenge. In addition to all that, driverless cars will also have to communicate with each other to ensure safe driving. Driverless cars are operated by sophisticated software that allows them to safely control the vehicle on roads populated by human drivers and self-driving cars alike. 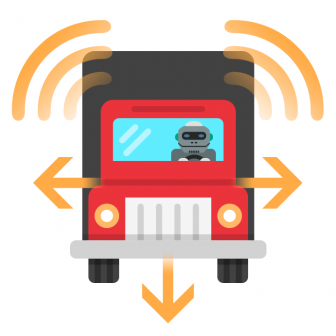 Software is increasingly becoming an essential component of vehicles – and as no connected software is protected from hacker attacks, continuous updates to our car's software will become an everyday experience. One of the biggest challenges of car manufacturers today is to remove the security threats of not only software embedded in cars, but also to mitigate the risks of over-the-air updates. Is security really a problem? In 2016, Tesla had to deal with a series of problems including a deadly accident caused by the failure of the autopilot system, a burnt-out car, and a Chinese hacker attack. In September 2016, the Chinese IT company presented how easily they could gain access to a Model S and activate its brakes by remote control. While heavily reliant on high-tech solutions, Tesla is far from being the only manufacturer affected. As increasingly sophisticated software solutions are built in our cars, we might start hearing more about such vulnerabilities. Therefore, dealing with these risks is among the top priorities of automotive companies developing self-driving technology. A good example is the first self-driving truck called the Freightliner Inspiration, recently introducted by Daimler. The truck is able to drive autonomously on the highway if certain weather conditions are met, paving the way for truly autonomous (Level 5) development. 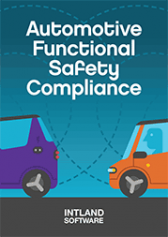 An advanced tool supporting the development of autonomous technology is codeBeamer ALM and Intland’s Automotive ISO 26262 Template. The combination of these enable automotive manufacturers to implement mature processes and cut development time and costs. Start your free trial or get in touch for more info.